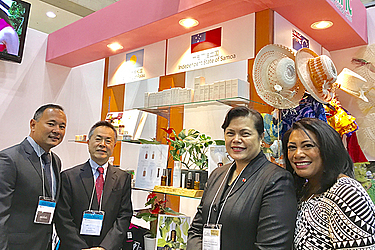 Samoa’s luxury skincare range, Misiluki, is making its debut in Japan this week at one of the largest gift shows in the world. Husband and wife team, Misiluki founder and C.E.O, Lufilufi Rasmussen, and Director, Michael Rasmussen, are attending the 83rd Tokyo International Gift Show, which boasts 300,000 scheduled attendees and 2500 exhibitors at the three-day event. Mrs. Rasmussen said the Japan trade show was part of an international marketing strategy aimed at securing agent representation and high-end chain store contracts. “It probably sounds like we are reaching for the stars but Misiluki has been seven years in the making and I’ve always had this vision to have the range be sold globally,” she said. Mrs. Rasmussen said Misiluki had had positive feedback from agents and distributors, commenting favourably on the packaging and the products themselves, and had scheduled follow-up meetings after the show. She said they were grateful for the support of the Pacific Islands Centre in Japan, and the Samoa Ambassador to Japan, Fa’alavaau Perina Sila-Tualaulelei, who had been at the show each day and provided a Japanese translator for the show. 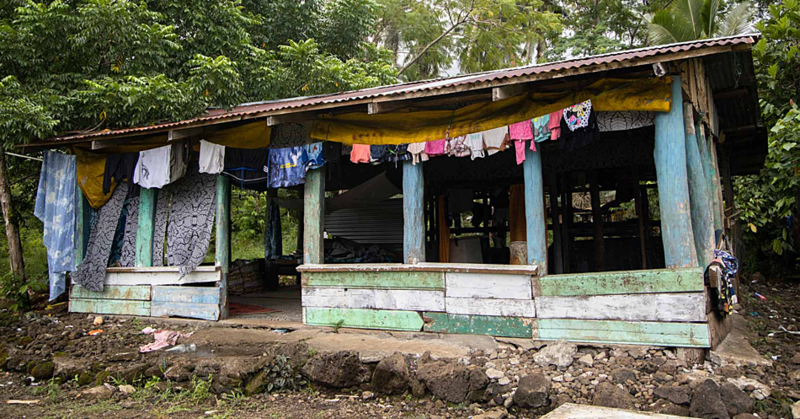 Misiluki shared their sales booth with other high quality Pacific products such as designer clothing label TAV from the Cook Islands, as well as companies from the Republic of the Marshall Islands, the Federated States of Micronesia, Palau and Tonga. Ambassador Fa’alavaau said it was important to support Samoan companies when they came to Japan. “I admire the gutsy determination, the commitment and the passion that drive Lufilufi and Michael to try and get a foothold into the very tight Japanese cosmetics market,” Fa’alavaau said. The Tokyo gift show covered manufacturing, anime and character, and cuisine, to lifestyle, design, fashion, beauty, and home furnishing and aims to discover fashionable yet high-quality products. Misiluki launched for the first time at the Sydney Beauty Exhibition August, 2016, with support from Pacific Trade and Invest. In July, the company will showcase its range in Las Vegas and New York. “I have had great support and this drives me even more to ensuring Misiluki is a successful brand internationally. The Misiluki range uses only natural ingredients including cold-pressed organic virgin coconut oil and fetau oil from Women in Business Development Inc in Samoa. “I was always going to use our coconut oil. As Samoans, we know coconut oil to be moisturising, healing and a great makeup remover. I wanted to take these natural benefits and combine them with other natural active ingredients to appeal to wider audience. Misiluki is currently sold in Samoa, New Zealand and at misiluki.com.